2004 release. In 2000, Henri Pousseur was asked by Philippe Samyn, a Brussels-based architect who liked to work in collaboration with other artforms, to lend his support to the plan for the construction of a business complex by one of the most important building enterprises in the country. There were four low buildings arranged like different parts of a medieval castle-village, grouped around a kind of large open central court. Leaning on the suggested image, Pousseur immediately suggested that the first spinal-column be composed of an electronic carillon, sounding in variations every hour, thus marking the hours between 6 a.m. and 10 p.m. Henri Poussuer imagined then a connection between Nivelles-time (a city 40 km south of Brussels, where this large project would be situated) and the time of the entire planet and the more or less metaphoric sonic and musical realities attached to it. He made on the one hand the 16 hours of a theoretically complete day of work (from the cleaning service up to the last research in the office) correspond to the 24 hours of a complete terrestrial revolution. He then divided the globe into eight large north/south "slices," themselves divided into three perpendicular "rings": north, center, south, with the understanding that only inhabited lands were taken into consideration. To each of the 8 "great hours" of the total duration, Pousseur associated three regions, one of each ring (north/central/south) set out as far apart as possible on the terrestrial globe. 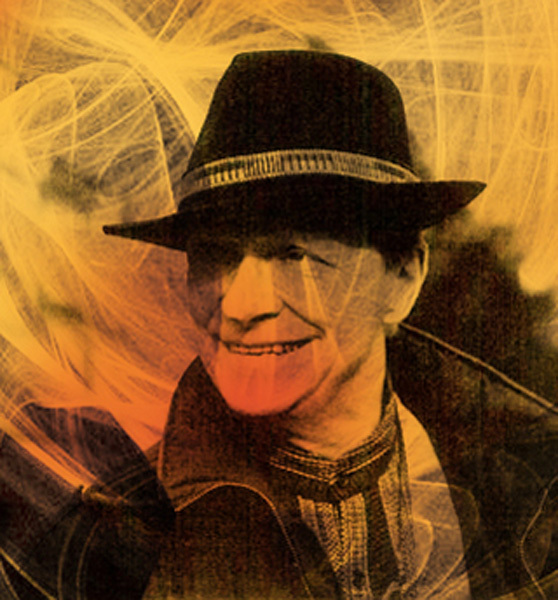 Over a background of a fairly continuous variety of noises which are perpetually evolving: sea, fire, city, swamp, industry, forest, etc., there are ethno-musical samples from one region or from several regions involved, more or less worked over by all sorts of numerical methods which vary their capacity to be recognized as quasi-traditional music. This work once finished (realized in the studio of the composer's son Denis), Pousseur made a synthesis on three discs by superimposing the landscapes (a bit in the manner of the previous Etudes paraboliques) in 16 Paysages Planetaires. The titles of the landscapes express by their contraction the simultaneous or alternate presence of several regions; for example, "Alaskamazonie" is self-explanatory. Something like "Gamelan Celtibere" is a sort of play on something between the West Coast of Europe with the Indonesian archipelago and even the northern part of Australia. Continuing like this you could find it amusing to reconstruct the circumplanetary movement of the work. Michel Butor wrote the luminous prose-verse alternating poetic structure which accompanies these landscapes. 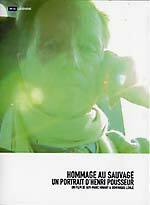 His text is included in the 60-page documentation booklet, also featuring two long essays by Henri Pousseur: "Paysages Planetaires" and "Atmospheric and Cultural Sources for Each of the Landscapes." Finally, with this work, Henri Pousseur makes an homage to all the singers and instrumentalists, sound engineers, ethnic musicologists and editors who have either produced, or gathered and transmitted, all the marvelous musical invention which inspired and nourished the work and which, with the sounds of the world, of nature, of society and of industry, are supposed to represent a kind of formal summing-up of life's multiplicity. All the images, obtained through extensive digital treatments, were conceived and manipulated by Henri Poussuer. Housed in a heavy cardboard slipcase with 3CDs and a 60-page booklet. 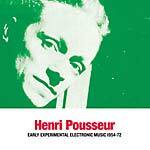 This recording will be Sub Rosa's first posthumous recording of Henri Pousseur. 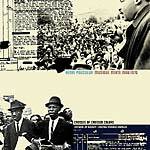 It is the sixth release (out of eight) in their catalog devoted to this composer's experimental and electronic works. It also marks the end of the trilogy of the Parabolic works (following the 1972 unreleased recordings and the 2001 collective performance). This time around, we have a piece built through another major Pousseur work: Leçon d'Enfer (composed in 1990-1991 around Arthur Rimbaud). 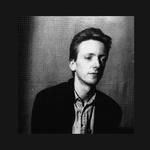 This previously-unreleased version was realized by Henri Pousseur in Cologne in 1992. This release was important to Henri Pousseur, as it concludes, in a sense, the Paraboles trilogy, after 1972's 8 Etudes Paraboliques (released as a 4CD box set comprised of all the études to be used as the basis for all current and future mixes) and 4 Parabolic Mixes (2001), on which four composers -- Robert Hampson, Philip Jeck, Markus Popp, and Pousseur himself -- tackled those source tapes. This suite of works was gradually pushing composition further into the territory of destruction and abstraction. This final installment, a mix made from the 1972 Études, as it should be, integrates a major external element (something already planned in the initial design), another work by Pousseur, "Leçons d'Enfer," a complex piece of musical theater dedicated to the memory of Arthur Rimbaud and composed in 1991 for the centennial of the poet's death. This work, over 100 minutes long, was written for two actors, three singers, seven musicians (clarinet, alto saxophone, tuba, harp, piano, and two percussions), tapes (including traditional Ethiopian music and field recordings from that area), and electroacoustic devices. With this version, Henri Pousseur shows how the deep impression left by a work in constant mutation can take different guises. The Rimbaud pictured in this flux is neither the promising teenager, nor the striking genius, nor even the desperate man struggling in vain in an empty landscape; it is an appeased hybrid breathing the ebullient air of the final times. Sub Rosa re-releases the 2005 documentary of Belgian theoretician and experimental/avant-garde composer, Henri Pousseur. Over 15 years ago, the Basel-based Fondation Paul Sacher, which preserves archives related to 20th century music, sent its best expert, musicologist Dr. Albi Rosenthal, to Henri Pousseur's home. Upon finding out the scope of documents Pousseur had kept, the musical antiquarian's eyes widened. Now, Pousseur's past, present and future archives can be found at the Foundation: magnetic tapes, scores, correspondence, etc., along with his most complex research work, his most obscure sound materials, and his most random memos. This documentary film is part of that archival body, in the form of a "road movie," if you will. Henri leads a convoy en route to Basel. For hours on end, the footage conjures up far-away and ancient places, but we know nothing of the moment, the location, or the context of their emergence. The enclosed and moving space of the car is the only thing you can hold on to or believe in. On the way back, after sitting in the car for hours, the setting sun illuminates Pousseur's face. He remembers his first glimpse of Mount Fuji and carefully shows the viewer where he was sitting on the Tokyo-Kyoto train, years ago: "Right there, like that. My wife was there and I was there." Through the window, he shows us where Mount Fuji stood. And suddenly, we can see it too, silhouetted on the horizon. Thanks to what happens off-camera, the filmed reminiscence turns into Presence. As we capture the tale of this vision, we can see what Pousseur sees. And yet, beyond that, and that light: nothing. This is a powerful documentary, which manages to change sensations simply by recording a living, direct, and unpredictable narration. It is also Henri's last voyage. Directed by Dominique Lohlé and Guy Marc Hinant. 52 minutes; double-sided DVD in both NTSC & PAL formats, region-free; in French with English subtitles.